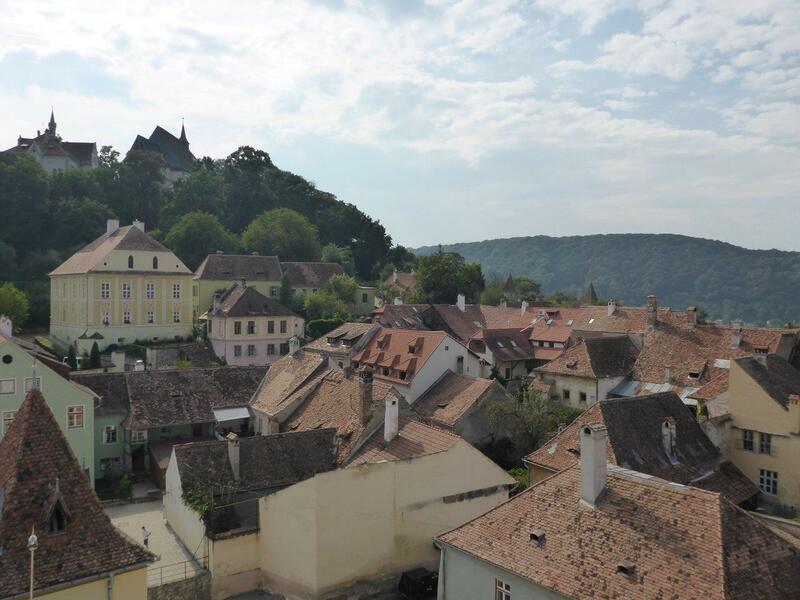 Sighisoara’s citadel was originally built in the 12th century, and was one of seven walled citadels in Transylvania inhabited by the Saxons. 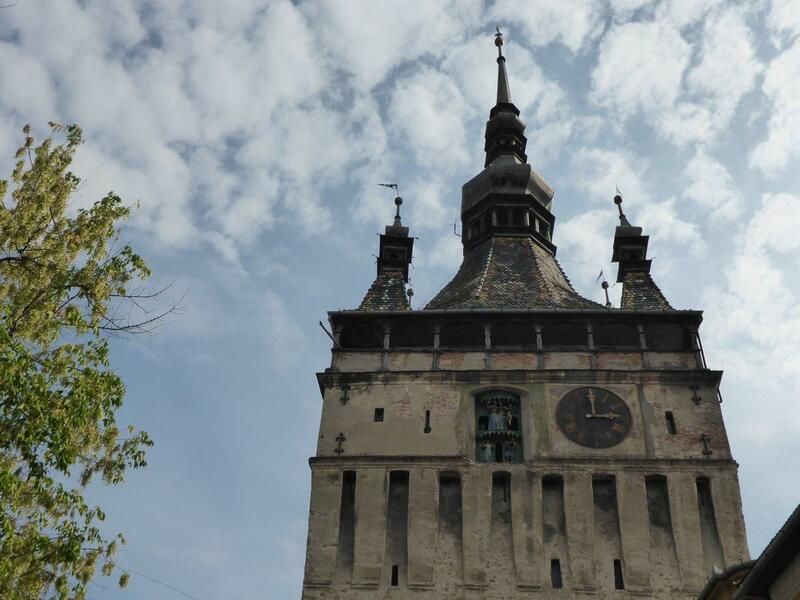 It was also the birthplace of Vlad Dracula. I will get back to that in a later post. 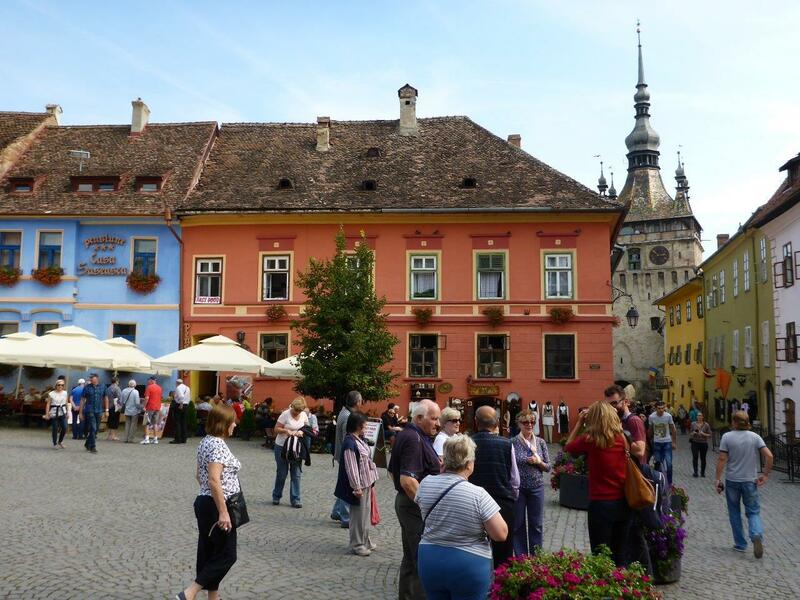 Today it is a popular destination for both daytrips and overnighters, and I definitely see why. Always seeking heights for views, we walked the covered wooden stairs up to the School Hill (yes, there was a school on top…), hoping to get a great view of the citadel from there. Well, do not go there in search of views, as the trees block every potential lookout. 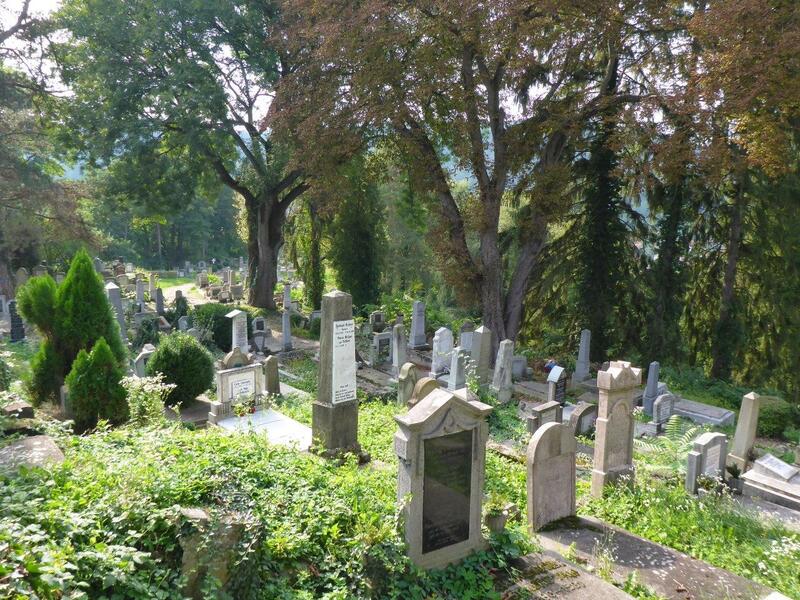 However, walking the wooden stairs from 1642 and visiting the peaceful cemetery (it seemed to become a theme throughout the trip) was absolutely worth it. And the “Church on the Hill” supposedly as well even though we did not get to enter. Giving it another go, back down town we climbed the stairs to the top of the bell tower, also housing the History Museum. Views first, history later! Walking down we visited the exhibition rooms, also housing displays from the craft guilds. These guilds were also responsible for the different defense towers of the fortified city. Nine of the fourteen towers are still present today. The Tailors tower, attached to the building we stayed the second night, actually used to be as tall as the clock tower, but the upper part was destroyed when the cities gunpowder deposit located in the tower exploded in 1676. Enough sightseeing, time for enjoying some beers in the sun. 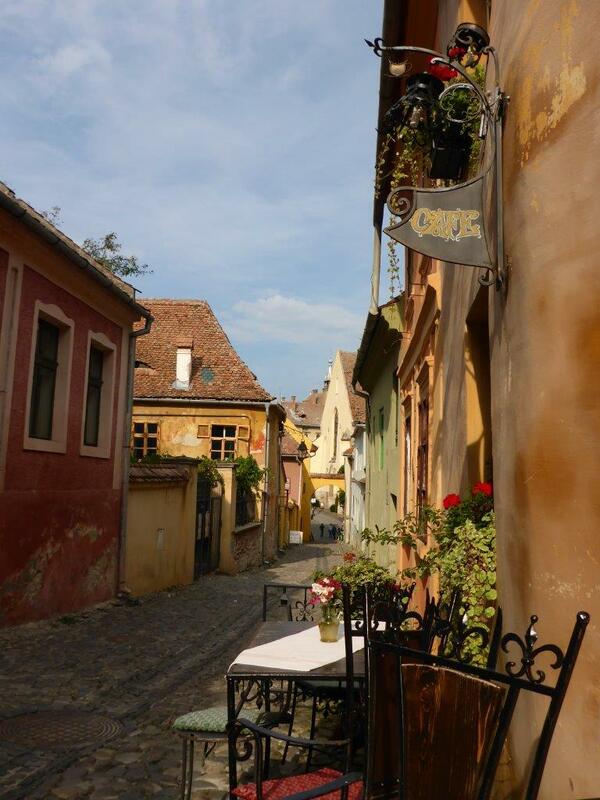 Sitting outside the Medieval Café, looking down the winding street with the people passing by, sure was relaxing. 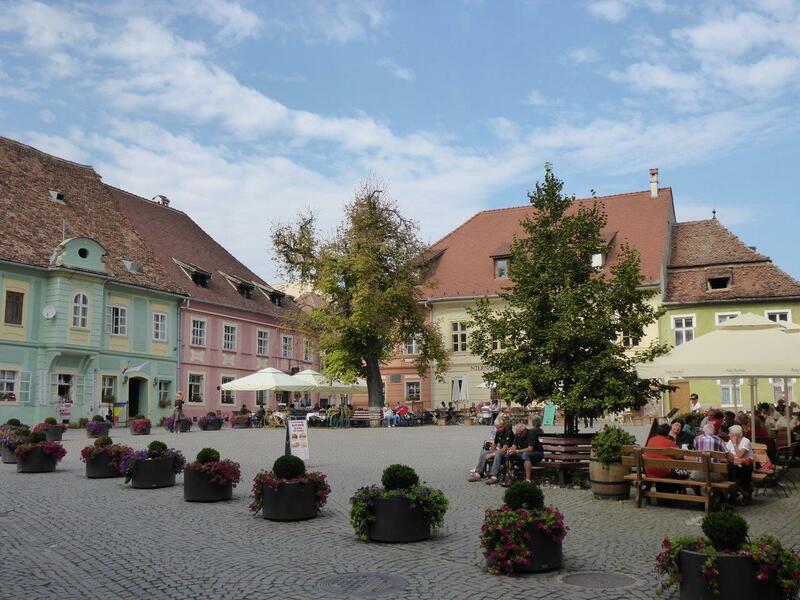 The whole town in fact gives a calming atmosphere. 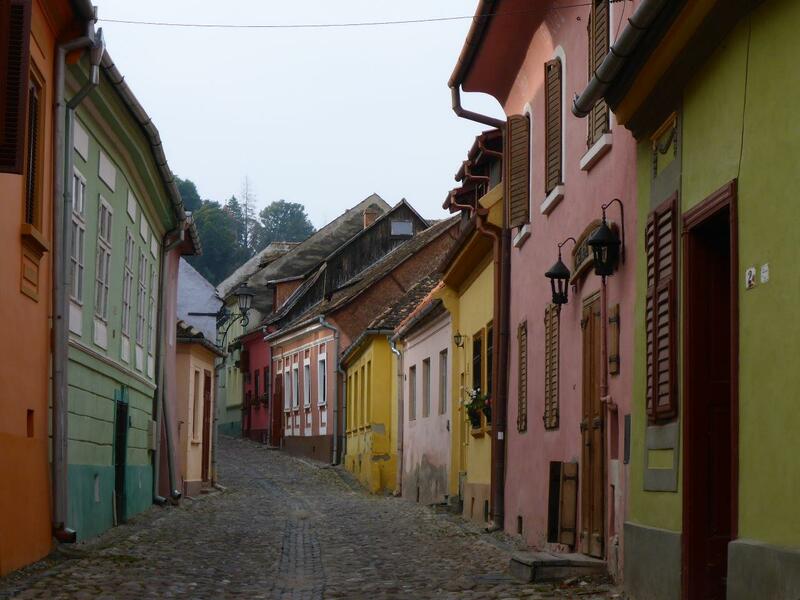 But the city of Sighisoara is not all about the old town, even though that is the most photogenic part. When it comes to food, you should seek outside the walls. We tried both, and let’s just say new town vs. old town; 1-0. Not including the outstanding breakfast at Pension am Schneiderturm, that is. More on that later. This restaurant was recommended by several, so we thought we would give it a try. 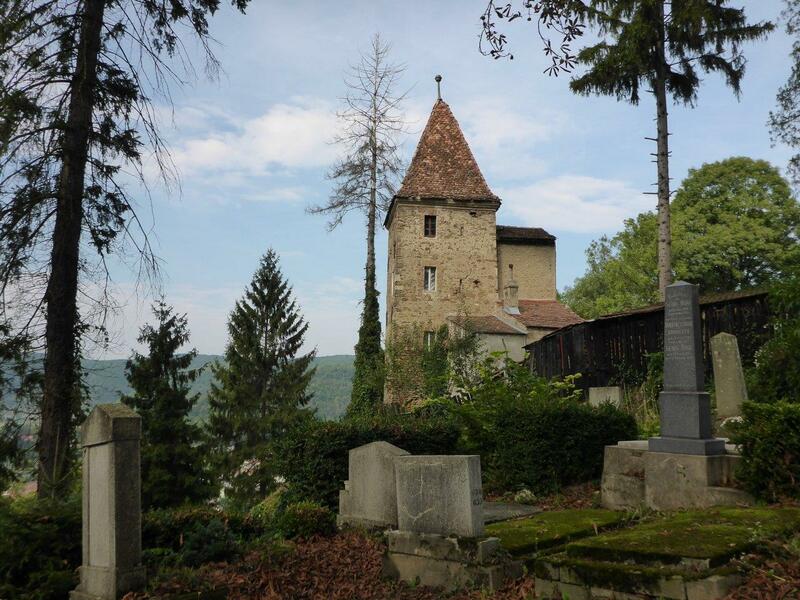 It is situated just a few minutes walk outside the main gate of the citadel (the one with the bell tower). They have two different rooms, we chose the one pretending to be outdoors. While reading the menu, another guest approached us, saying she would be happy to help if we had any questions. 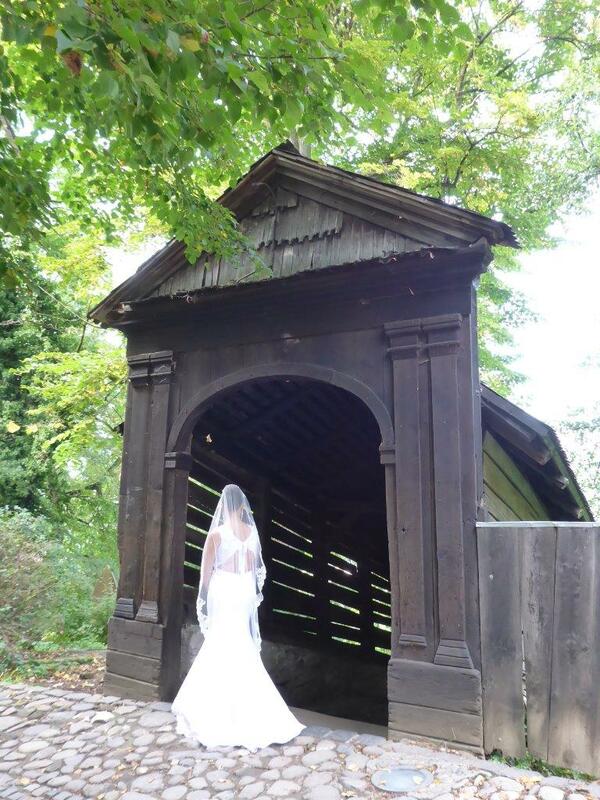 She was of Romanian descent, bringing her husband to show her the country she was born. Even though she had not lived there since she was a child, she had kept the language and the sense of friendly hospitality we experienced several times from the locals during our trip. She introduced us to the local specialties, like a really tasty meat soup (yummy! ), polenta (not my favorite…) and meat with mushroom sauce (great!). To go with that, we had a Romanian sparkling wine. I personally prefer the wines a bit dryer, but it worked out fine. Starting to crave for something else than traditional Romanian food and needing a little change (our trip was more than a week…), we decided to go for some Italian. As I often tend to want to try so much of what is on the menu, so having a friend to share with is perfect! Ordering a starter and a peperoni pizza to share, sounded like a great idea. It initially was, but the pizza was so spicy that my friend had no chance of eating it, and I struggled. And I have lived in Thailand and is used to spicy food (a long time ago, though…). Since weather permitted, we were sitting outside in the backyard. However, the staff was seldom out there, so we actually had to go and get them inside if we needed anything more after they served us the food. And we needed more drinks after the pizza… Other than that, it was an ok place. Nice place to sit outside in a charming street, and great for people watching. Drinking in the sun, yes. Eating; no! Unless you are extremely hungry, but maybe not even then…. A newly opened bar in the new part at the foot of the hill. They had absolutely tried to make it cozy, but the light was harsh! I honestly believe just a little dimming would make all the difference. Other than that, it had everything you could ask for; nice drinks (cocktails for my friend, beer for me), and knowledgeable staff telling about the local Romanian beers. Foreign interests have bought most of the big beer brands, but a few local microbreweries are up and coming. 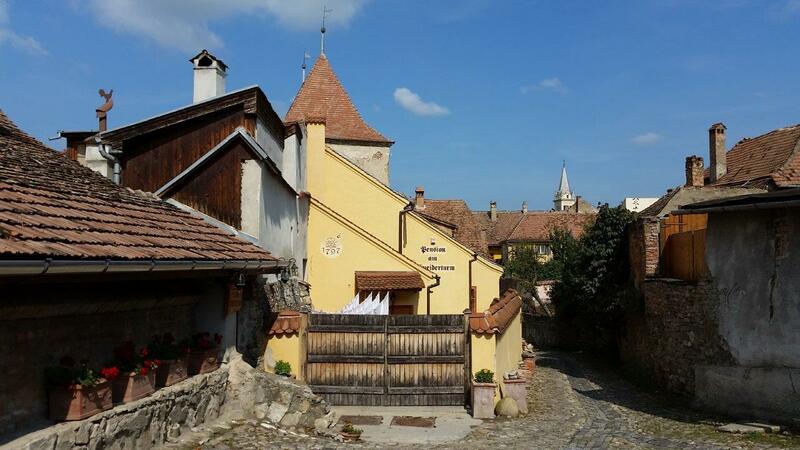 As we originally only planned one night in Sighisoara (but soon realized that was a mistake), we had to stay two differed places as Pension am Schneiderturm was fully booked. 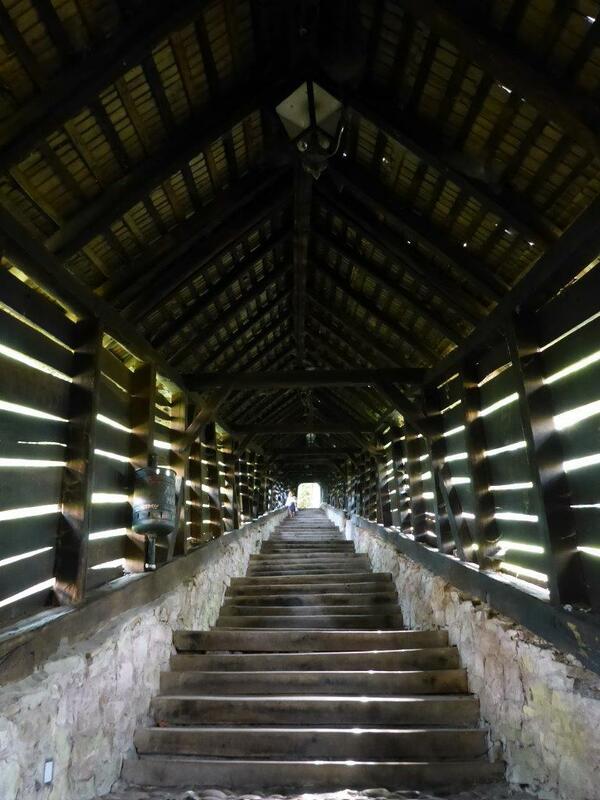 As he could not accommodate us both nights, he was helpful enough to recommend, and walk us to, Casa Lia. Both places were great, but if you have to choose between them, I will just mention that Pension am Schneiderturm has an outstanding breakfast! The house has its name from the former tailors tower where it is situated. Why the German name, you ask? Simply because the city was built by the Germans. The room was not the biggest, but good enough for us. Nice outdoor seating area. 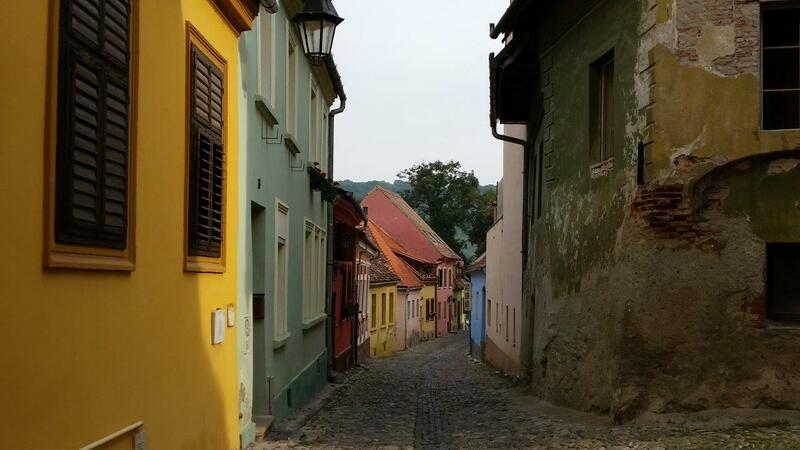 Very helpful host, gave us a lot of information both about Sighisoara, the area, and gave us tips what roads to choose for our onward journey. The breakfast was outstanding, with all types of cheese, sausages of sheep, deer, bear and boar. Also many types of both marmalades and honey. Cereal, fruit and yoghurt was also available. A great way to taste many local specialties. Make sure you do not miss this breakfast! 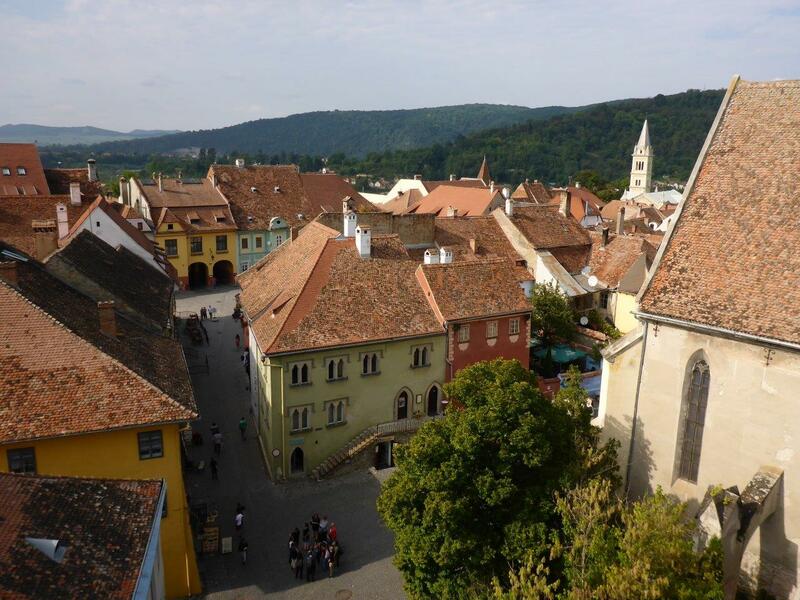 Sighisoara is also perfect for a daytrip to Biertan fortified church and Bethlen castle in Cris. Thank you! 🙂 It sure was a challenge. 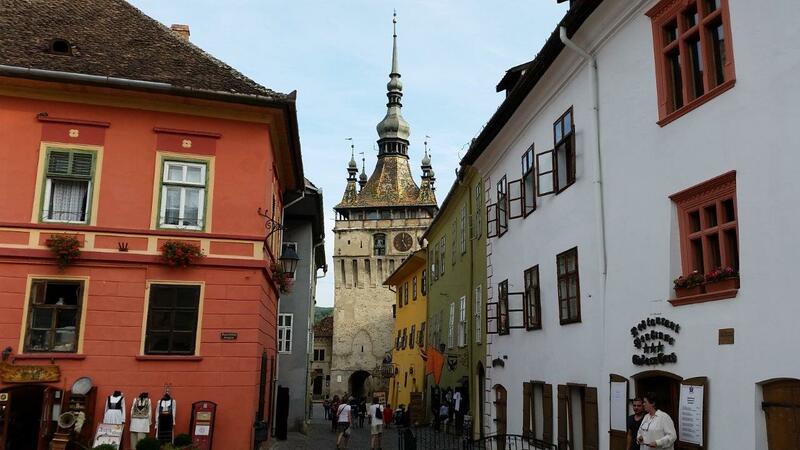 Pingback: Daytrip from Sighisoara to Biertan fortified church and Bethlen castle in Cris | Life is a journey!